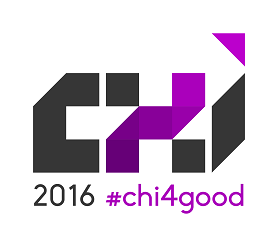 CHI 2016 encourages submission of a broad range of papers relevant to Human Computer Interaction. In the past, authors selected an explicit contribution category, with the goal of guiding referees to review the Paper or Note using criteria appropriate to the type of contribution the paper is making. However, a single paper may often fall between contribution types, or offer its own unique contribution. As such, this year, authors will not need to choose a single contribution type when submitting their paper. The primary criterion for evaluation of all Papers and Notes remains the research’s contribution to HCI. However, the CHI program committee will still strongly encourage reviewers to recognize that there are many ways for which a paper can make a contribution to HCI, and to review the paper appropriately. In all cases, we will do our best to give every paper the most professional reviews and most meaningful discussion possible within the context of the actual submission. The Subcommittee Chairs are senior people who have a broad view of the field of Human-Computer interaction. 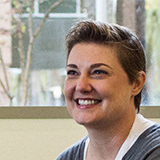 They will adopt an inclusive perspective on what makes a valid research contribution to HCI. In all cases, a CHI Paper or Note must break new ground and make an original research contribution. Below you will find some of the types of contributions a paper can make to HCI, and the associated criteria that a reviewer may use to assess this type of contribution. Do you provide context, where you clearly review what is already known and what limitations exist in knowledge about this artifact or technique? Do you motivate a real problem that is worth solving? For example, do you justify the beneficial value of this artifact or technique not only in isolation but within the global context of its expected uses? Do you describe the artifact or technique in sufficient detail for others to replicate it? Do you include a rigorous and convincing validation of the artifact/technique (e.g., empirical study, usability study, field study as appropriate), where you clearly show that incremental gains not only exist, but that the gains are of practical significance? Do you clearly describe the methodology and mechanics behind the analysis (e.g., ethnographic, field investigation, interviews, contextual inquiry). Do you clearly describe what new understandings were gained? Do you show how the value of this new understanding is relevant to HCI, i.e., where it increases our understanding of human behavior as related to HCI, or how it adds insight into the organization of social settings, or by showing implications for design, or how it causes us to reconsider prior perspectives of human behavior and contexts within HCI, or by helping us analyze other relevant contexts? Do you show that the idea is original, of interest, and valuable to a reasonably broad subset of the CHI community? Is the idea placed in context, where you detail the expected situation, tasks and users? Are you extremely clear about what has and has not been implemented? Do you provide sufficient information for an experienced researcher to implement a similar system? Can the system work within its proposed settings, or are there significant obstacles to its use? Do you show how the methodology builds on or contrasts with related work? Does the methodology have relevance and importance to HCI practice and/or research? Is the methodology described in sufficient detail so that others can use it? Has the value of the methodology been demonstrated, e.g., by showing how it helps product design, development, and use, or by demonstrating its use in a particular setting, or by contrasting the results obtained with a competing methodology, or by showing how its use improved the process it was intended to address? Is the theory novel or a significant variation of an existing theory? Is the theory understandable by a general HCI practitioner as well as an expert? Do you show how the theory is situated with respect to other theories, and how it builds upon them? Does the theory have relevance and importance to HCI practice and/or research? Has the value of the theory been demonstrated, e.g., by showing how it helps describe, predict and/or influence the design of an interactive application or setting? Does the theory recast existing work in other areas in a way that provides greater value to an HCI practitioner / researcher? Do you clearly detail the idea? Is the idea novel or a significant variation of an existing idea? Do you convincingly describe the potential significance and impact of this work, where you clearly argue about its significance, how it enables a new class of user interfaces or user experiences, and how it can affect future generations of users? Do you suggest how the innovation, vision or design might be adopted in practice, e.g., by reflection, by probes, or by case studies? Do you stimulate thought on new ways to interact with technology, or how new cultural meanings will be applied to the technology we build? Do you clearly show that this is a topic of highly significant interest to a relatively broad segment of the CHI audience? Will it have high impact to HCI? That is, will it stimulate significant discussion and perhaps changes in our practices? Does it incorporate other points of view and perspectives, and does it consider them in a balanced fashion? Why is a replication needed and important? In particular, do you explain why there is some uncertainty about the reliability or generalizability of the existing finding, and that resolving that uncertainty has important implications for theory or practice. What is the same and what has changed in the method (e.g., experimenter, participants, software, hardware, measures, procedures) from the original study? What is important about the similarity or divergence of results?